If you’re a sport physio, then Tearlite is the tape for you. Why? Well, because it’s of the highest quality and it’s goal is to make your job easier. The tape has a hypoallergenic adhesive, which means, no latex. So there will be no more sensitive skin issues or reactions thanks to this. The Tearlite EAB has also been designed to unwind easier, all the way down to the core. So absolutely no wastage. Finally, and the clue is in the name here, tear-lite, this product can be simply torn by hand. All of this combined makes it the product that physiotherapists are requesting. Tearlite works very similarly to standard EAB, in the way it flexes and stretches with a wearers movement. However, thanks to it’s open weave design, you will use a lot less material. This lightweight version is perfect for strapping up sprains, strains and problematic areas. 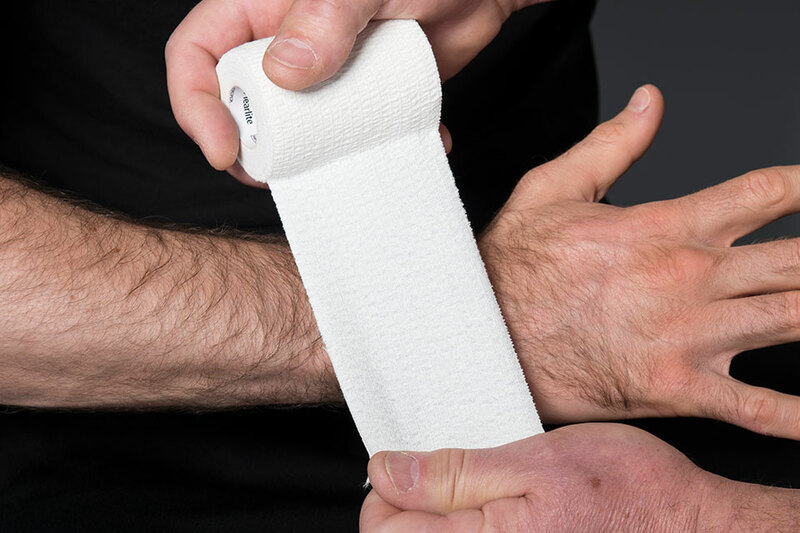 It is a perfect fixation bandage, ideal for securing ice packs to injured limbs and holding dressings in place. It is also perfect for Rugby lifting / lineout tape, fixing blocks to players legs to aid lifting them in a lineout situation. The bandage is so conformable, that when applied it can be worn inside an individual’s boots or trainers. The Tearlite EAB is one of the elastic adhesive bandages available. We also have the Premium EAB and Trainers Choice (made from a more lightweight material, ideal for everyday club use).